The first widely deployed Imperial star fighter to boast shields and a hyperdrive, the Alpha-class Star Wing had limited maneuverability, but was heavily armed for its size. 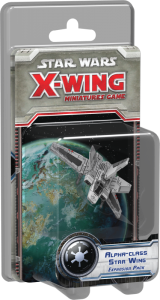 The fighter remains impressively durable and destructive in Star Wars: X-Wing Miniatures Game, where its two agility, four hull, and three shields are paired with the ability to unleash cascading torrents of missile and cannon fire. The Star Wing's pre-painted miniature in Alpha-Class Star Wing Expansion Pack is accompanied by four ship cards, seven upgrades, one maneuver dial, reference cards for the reload action and jam tokens, and all the plastic and tokens you need to fly the ship to battle. It is the year 2849, one millennium after the Gold Rush, and the mining of raw materials has reached a whole new level. Humankind has successfully tested the first Stellar Mirror and harnessed enough power from a Pulsar to open the first space gate. 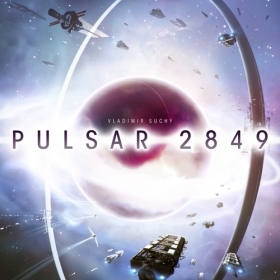 Draft dice to explore the universe in Pulsar 2849. Each round, roll dice based on the number of players, sort them based on their values, then draft dice to take actions, such as adding another spaceship to your fleet or visiting (or flying through) an unexplored star system or tagging a pulsar with one of your identity rings or advancing on your personal tech track, which differs from those of other players. At the end of the round, the turn marker advances based on the dice rolled that turn, and when the marker reaches the end of the track, the game ends. 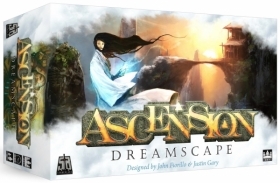 Players score points each round based on what they've discovered and explored, and everyone has hidden goals that they want to achieve, while also trying to claim the right to public goals that supply additional endgame scoring. Reinforce your legions of Stormtroopers with the Stormtroopers Villain Pack! 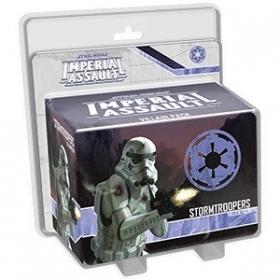 The Stormtroopers were first introduced in the Imperial Assault Core Set, but the Stormtroopers Villain Pack brings deadly new tactics and abilities to these most loyal servants of the Empire, as well as three new Stormtrooper figures that feature an alternate figure sculpt. In your campaigns, this expansion offers the new Vader’s Fist Agenda set, allowing you to goad the Rebel heroes into an attempt to sabotage the training facility of the renowned 501st Legion. For your skirmish games, a brand-new skirmish upgrade represents the training of the 501st Legion, offering two potent new abilities to any Stormtrooper squad. At the same time, new Command cards reinforce figures after they die or invite your figures to engage in stealth tactics. Whether you play a campaign or a skirmish, this Villain Pack easily expands the ranks of your Stormtrooper armies.